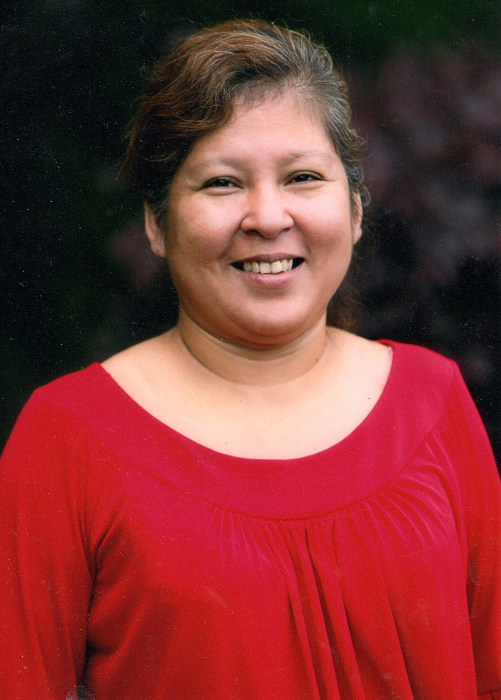 Dina Delacruz, age 55, of Gainesville, GA passed away Sunday, November 11, 2018 following a brief illness. She was a teacher at The Goddard School and a wonderful wife, mother, and grandmother; and a member of Iglesia Pozo de Esparanza in Gainesville, GA.
Dina is survived by her husband, Esteban De la Cruz; sons, Emanuel DelaCruz, Tevin DelaCruz; daughter, Genny DelaCruz; grandson, Ezekial DelaCruz (Lives with family); and her mom and dad, Jesus Andrade & Juana Perez (Living in Matamoros, Mexico). Funeral Services for Dina are scheduled for 3:00 PM Wednesday, November 14, 2018 in the chapel of Hillside Chapel Funeral Home in Gainesville, GA.
Pastor Jose Delgado and Ruth Rodriguez will officiate. The family will receive friends at Hillside Chapel Funeral Home from 3:00 PM until 8:00 PM on Tuesday, November 13, 2018 and from 12 Noon until service time on Wednesday, November 14. In lieu of flowers, please make a contribution to Dina’s family to help with medical expenses incurred during her illness.